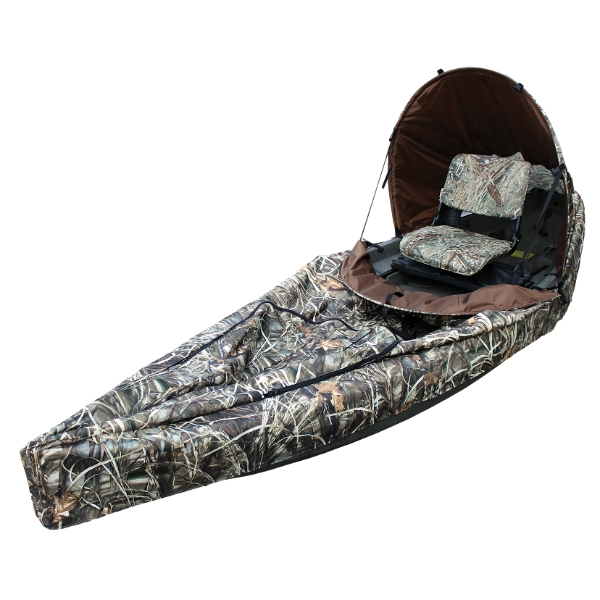 Upright Duck Blind cover that fits snuggly on the Frontier. The blind consists of a bow section with dog pod and pull-up cover, and a stern section that is 30” off the deck floor. Provides great concealment and lots of room for gear. Utilizes Real Tree Max 4 camo pattern.